Small business owners and self-employed individuals searching for affordable individual health insurance in MA do not need to look any further than HSA Insurance. As one of the Commonwealth’s largest insurance marketplaces for individual and small business consumers, we can offer more than 150 plans to our customers from every major carrier, at the most competitive rates in the state of Massachusetts. What’s more, HSA will help you select affordable individual health insurance in MA that meets the level of coverage you need and your budget, and we do so while providing best-in-class, one-on-one customer service and attention. HSA provides simple online tools for all of our customers. Here, you can compare plans, enroll and pay your bills online with just a few clicks. 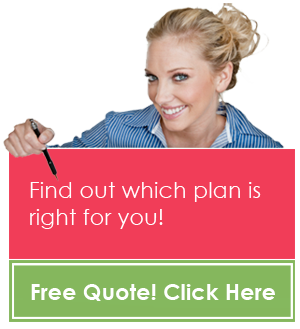 This hassle-free research makes selecting affordable individual health insurance in MA a breeze, on your own schedule. If you need a little extra help or have questions, you can count on HSA Insurance knowledgeable sales professionals and our fast, dependable customer support team. Our talented staff will navigate the frequent changes in regulations and laws for you, utilize our state-of-the-art technology platform, and assist you in finding the best match in affordable individual health insurance in MA for you, your family, or your small business. HSA’s partnerships with leading insurance companies means you can buy affordable individual health insurance in MA by choosing from more than 150 plans. Additionally, all of our plans are designed to meet and or exceed the state of MA’s Minimum Credible Coverage (MCC) requirements. For more information about HSA’s participating plans or to request a quote, we invite you to contact us today and learn why securing affordable individual health insurance in MA is closer and easier, than you may think.